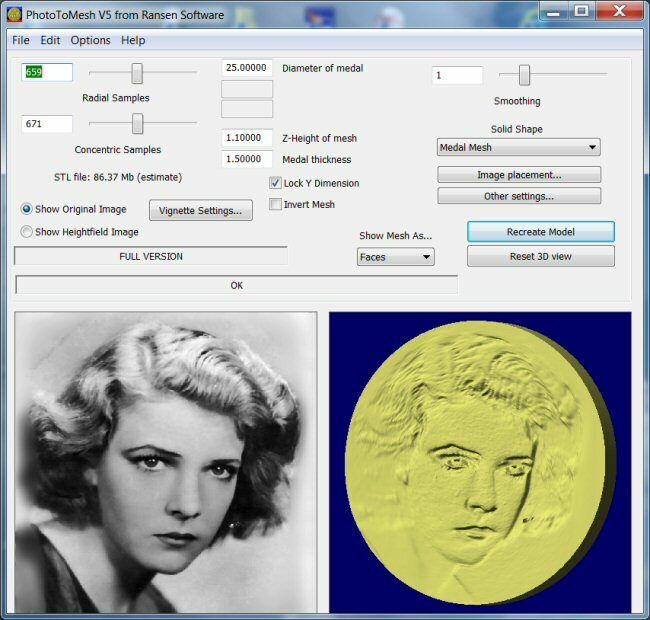 PhotoToMesh ($49.99 for V7 or $34.99 for V4) is a standalone Windows application which creates 3D meshes from photographs and other images. 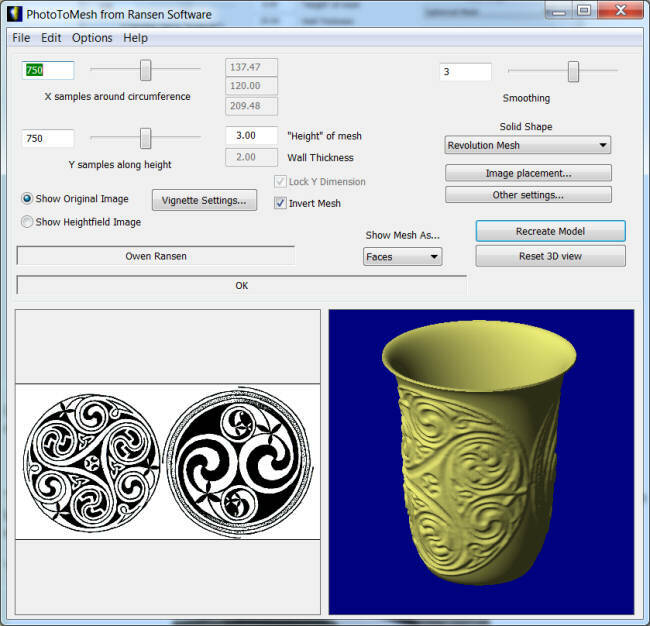 The meshes can be saved as DXF files or StereoLithographic files (STL and STLB) which you can use in your 3d printing machines or CAD programs. You can rotate the 3D object by dragging the mouse over the screen to see exactly how your object will turn out. In the above example the base form is cylindrical, in the example below the base form is rectangular. The top half of the screen contains the settings while the bottom half contains two images. 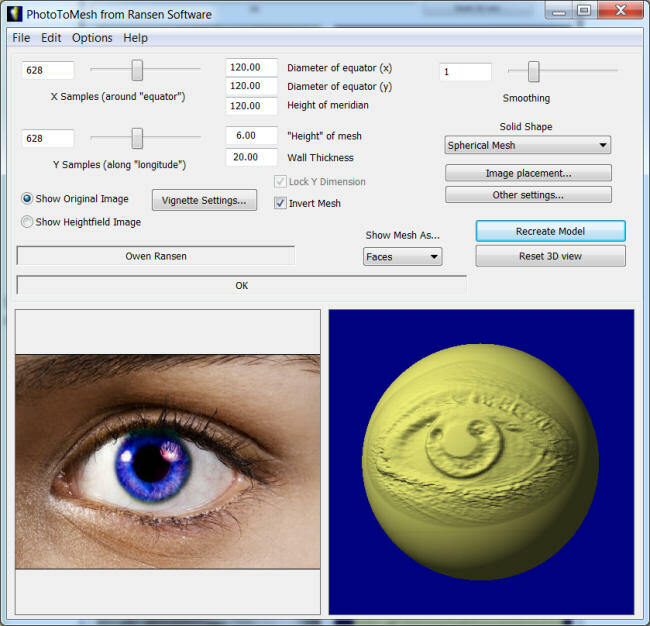 The left-hand image is your original artwork or photograph, the right-hand image shows how the mesh which has been created using that photograph (using a heightfield surface). 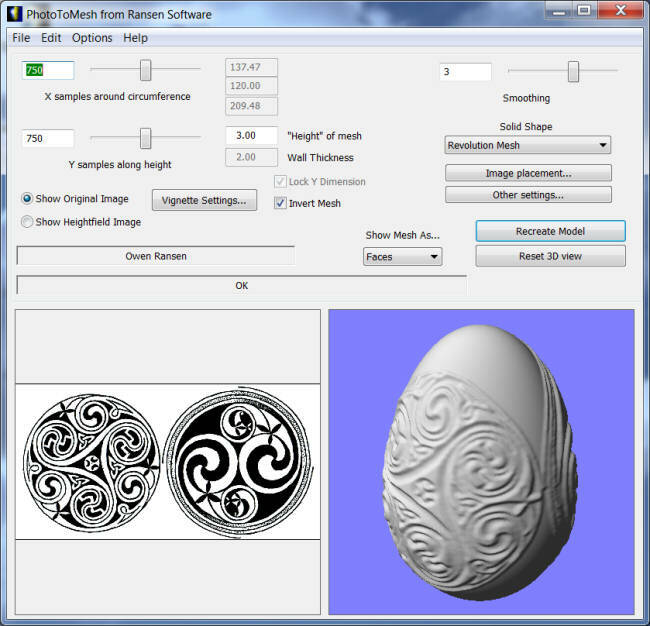 The new surface of revolution can even create closed objects, like the celtic egg shown above. PhotoToMesh can be used to create millable signs from simple black and white graphics. The simple but effective controls allow you to control the height and smoothness of the DXF mesh. 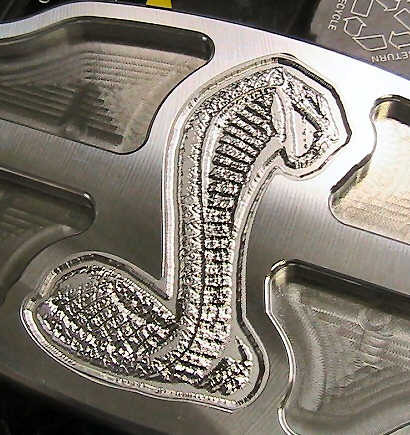 If you want to see if your CAD or CAM program is compatible with the meshes produced by this program go to this mesh sample page or the STL sample page. If you have any questions as a result please contact me. "Bas Relief" from you photos.